If you're considering a divorce in Alabama, the information and resources below can help make the process easier. You can access the appropriate divorce laws to know what your rights are and what to expect, as well as read through the child support guidelines and use the calculator to determine how much child support might be granted in your case. If funds are tight and you can't afford a lawyer, you can get separation and divorce forms that are specific for AL. Or if you would rather have an experienced lawyer handle your case, there is an option to locate these professionals in your area. There is also information on domestic violence services in the state and divorce support groups in your area to help you get through your situation. You'll also be able to find more information on divorce in general by reading through our various divorce articles. We cover such topics as getting a separation, all phases of the divorce process, splitting assets and debts, managing child custody, support, and visitation issues, as well as dealing with the divorce emotions and starting over. Alabama State Code - Title 30 Marital and Domestic Relations: You can read the full text of the related rules by clicking on the link above and scrolling to the section noted. Child support laws: In making a determination of child support, the court shall apply Rule 32 of the Alabama Rules of Judicial Administration. 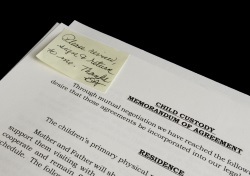 In Alabama, unless circumstances dictate otherwise, the family court system prefers some variation of joint physical custody for divorcing couples with children. Even when parents may not be seeking joint custody, if there are no solid reasons why sole custody should be awarded, the court usually leans to a shared agreement when they deem it to be in the best interest of any children involved. Regardless of the situation, you will need a court approved parenting plan that describes in detail how each child will be cared for as well as details about how time will be shared with both parents. You’ll also need to consider how your custody agreement may affect child support. If one parent is going to spend significantly more time with a child than the other, it’s up to them to show the court why a standard child support formula might need modified. This is a 4-hour class offered by the Family Services Center in Huntsville, Alabama which is for parents of minor children who are getting a divorce. Parents will learn about how divorce affects their children and what they can do to minimize the effect. 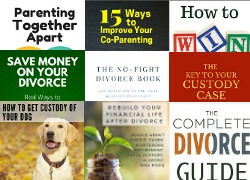 There is also a discussion about how parent's emotions can affect the divorce process, and more. You can call 256-551-1610 for more information about dates and times of the seminar. This program is held at the Family Guidance Center in Montgomery, AL and is a 4-hour class structured to help you and your minor children learn how to cope with the various issues that result from separation and divorce. 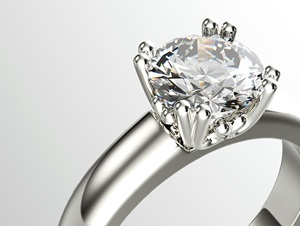 Spouses must attend separate sessions and are required to complete the entire program. You can call 334-270-4100 for more information about dates and times of the program. Need a Divorce Lawyer? You can confidentially present your case on this service to have attorneys in your local area review your information and reply if they are willing to take your case. Best of all… it's Free. QDRO Preparation - QdroDesk™ provides lawyers and individuals the ability to create all the necessary paperwork needed for dividing retirement accounts requiring a QDRO in a divorce or support case. Birmingham Beginning Experience - The purpose of this group is to help children and adults work through the grief that arises due to death, separation or divorce. For more information, call 205-969-8509. A video based thirteen week support group taught by Psychologists, Psychiatrists, Counselors and Authors. Experienced facilitators who have been through a divorce lead the group.